Read Silverline windows reviews from knowledgable consumer, homeowner, contractor and industry insiders. Silverline is owned by Andersen, who also owns American Craftsman. My wife and I bought 15 SilverLine Series S-200 DH windows the 8700, 8500, & 1300 all with argon fills and low-e glass. The sales pitch and material seemed to all indicate that we were buying great windows — there are now large streaks on the inside pane of three of the double hungs and significant streaking one the interior pane of our picture window. As well, one simply won’t open anymore. The streaking is most evident when the light hits the windows during certain parts of the day and initially we assumed that they were dirty and just needed to be cleaned. After this didn’t work, we finally realized that it was inside the panes of glass. All of this after having 3 sashes replaced due to shipping damage and then having them installed this way because the installer didn’t notice — it was obvious to us as soon as we saw them installed…I think some of this is on the installer but I feel like products are subpar as well. Silverline is basically Andersen’s builder grade or even a step down from this, avoid them if possible. Since you are in Texas, you might want to look at Don Young windows, they have a good reputation and carry some affordable, quality brands. They can recommend good local contractors to install the windows, which is is 60% of the equation right there. Instead, I would recommend (Simonton, Gorell, Sunrise and OKNA to name a few) and a knowledgeable installer and you shouldn’t have anything to worry about. One other recommendation if you do go with Silverline I would make is to spring for the glass package upgrade on whatever model you do end up going with. It is usually less than $50 a window but can have significant impact on the performance ratings and overall effectiveness. 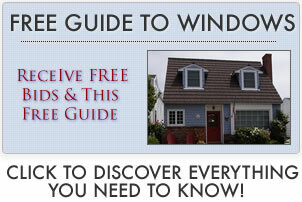 Click for additional Silverline windows prices. I hear alot of Silverline complaints but I disagree with most of them. I have sold tons of their 9500 Series and I will concede that they aren’t a flagship window. From 1992 to 1996, they had lots of issues – mostly due to glass strength. They moved to a double pane glass and constant force balancing system and that has helped a lot. As a budget window, I think they are now much improved. I put them into a friend’s home a decade ago and he hasn’t had any issues to date. I like to think part of that was the installation 🙂 but that line turned into their 9500 Series. I will say that whenever I install them I use foam to shore up the frame — making them warmer and quieter. At $275 installed or thereabouts, it’s a decent window for a lower budget homeowner. They have an air test value of .14 and a U-value of .32 – not too bad in this price range.